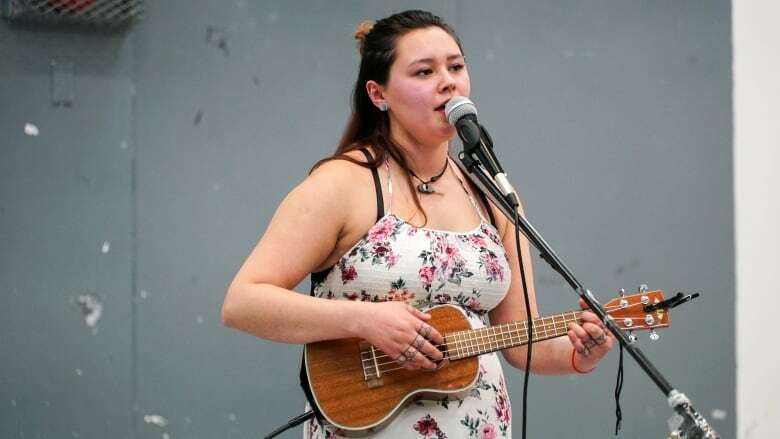 Nunavut musician Colleen Nakashuk, also known as Aasiva, performed in Resolute Bay as part of non-profit group Alianait’s fourth Mental Health Awareness Tour. Nunavut musician Colleen Nakashuk, who performs as Aasiva, says music has been an important outlet for her. She was the headline performer at an event focused on mental health in Resolute Bay, Nunavut, on Oct.4 — the final stop on non-profit group Alianait's fourth Mental Health Awareness Tour. "When I feel that I can't express myself through words, I pick up an instrument and it helps me cope with whatever I'm going through at the moment," Nakashuk​ said. "Music has been a huge influence in my life and it might be for someone else too." Nakashuk​ said it was a great experience visiting Resolute Bay, where she also attended a grant writing workshop, Inuit games and a storytelling circle. "It was amazing. I was so welcomed right away," she said. "I felt like I was part of the community. People were shaking my hand and welcoming me to their community and it was just a very beautiful experience all around." 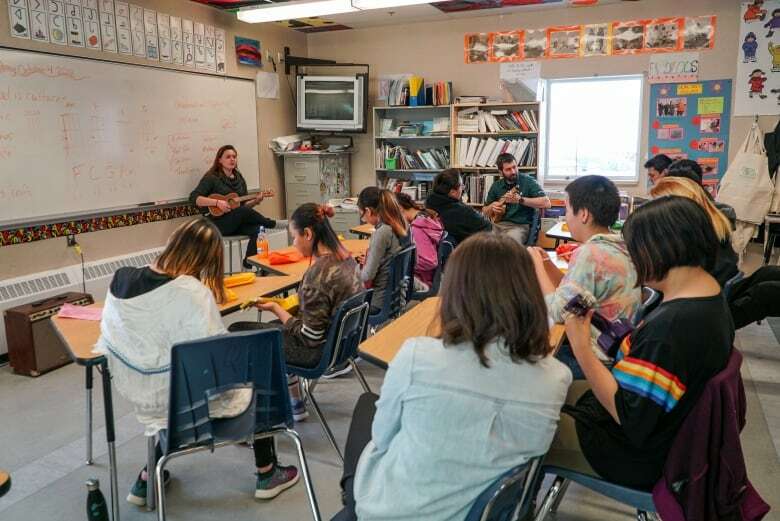 The musician, whose music features ukulele, Inuktitut lyrics and throat singing, also brought 15 ukuleles to the community and held workshops with some of the students. She taught them how to play her song Play In The Snow along with the history behind throat singing and some of the basic sounds. 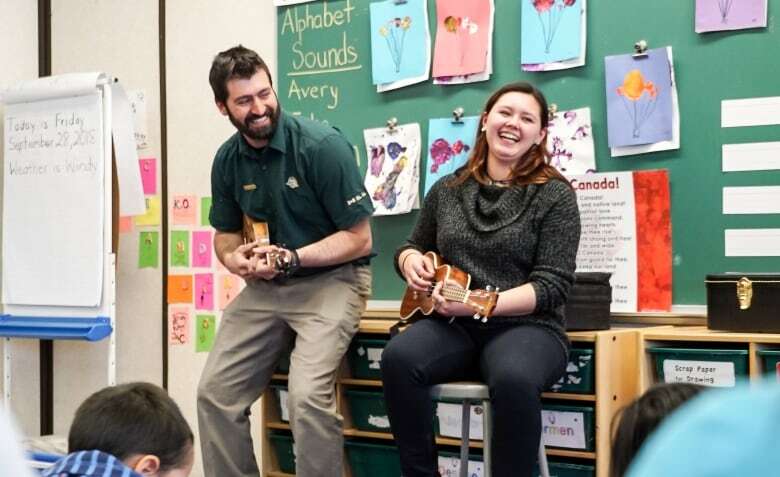 "There's a lot of kids that kept vocalizing that they really wanted to start their own bands and that they really like the 'little guitar' and it was really cute," Nakashuk said. She said workshops like these helped her when she was growing up in Pangnirtung, where music teachers would visit twice a year. "I can honestly say that I would not be where I am now if it weren't for these kinds of workshops," she said. One of the most powerful moments of her visit, Nakashuk​ said, was when she ended the show with You Are My Sunshine and everyone sang along. "I stopped the ukulele and it was just all our voices, and you can hear our voices filling the room," she said. "It was so beautiful I was almost crying." Jovan Simic, park manager for Qausuittuq National Park, said a lot of people in Resolute Bay were involved in the event. "It was an amazing event. It was a lot of positive energy. It was really well received from the community and especially youth," he said. "They were excited to have a performer come in." Alianait's Mental Health Awareness Tour began Sept. 8 in Iqaluit, two days before World Suicide Prevention Day, and was organized by The Quality of Life Secretariat and Alianait Arts Festival. Parks Canada collaborated with the group to bring the tour to Resolute Bay, along with other sponsors, such as Canadian North, the territorial government and Nunavut Tunngavik Incorporated. 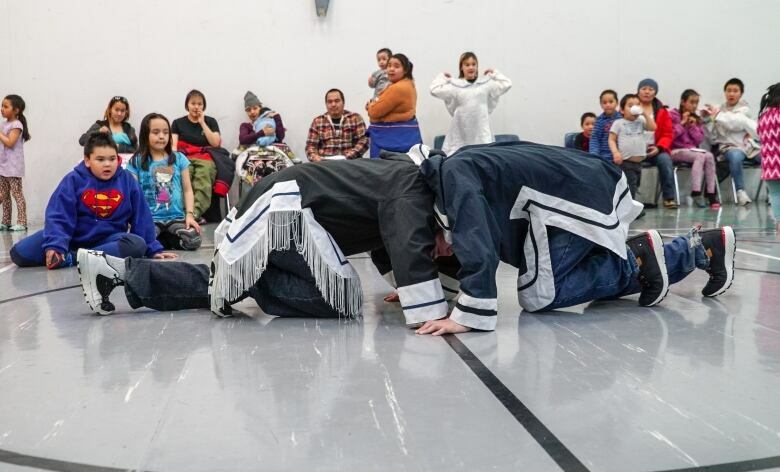 It saw Nunavut and Nunavik musicians including Beatrice Deer, Looee Arreak, Susan Aglukark, Lazarus Qattalik (also known as Mister) and Joshua Haulli performing and holding workshops in communities around the territory. Victoria Perron, executive director of Alianait, said music workshops help give people an outlet to work through their feelings and it's also helpful to hear others share similar struggles. "To build a healthier Nunavut and Nunavummiut, one aspect of health is mental health, and the arts has long been valued as a great way of improving mental health in people," she said. "[Music gives] people a creative outlet if they feel helpless." A previous version of this story incorrectly stated Colleen Nakashuk brought 50 ukuleles to the community. In fact, she brought 15.